It’s not all about cooking for me! Today we are in Camden Market looking for outfits and rings for our wedding in five weeks time. This food is from inSpiral – the vegetarian restaurant/cafe that overlooks Camden Lock. They specialise in Vegan food and a lot of it is raw. 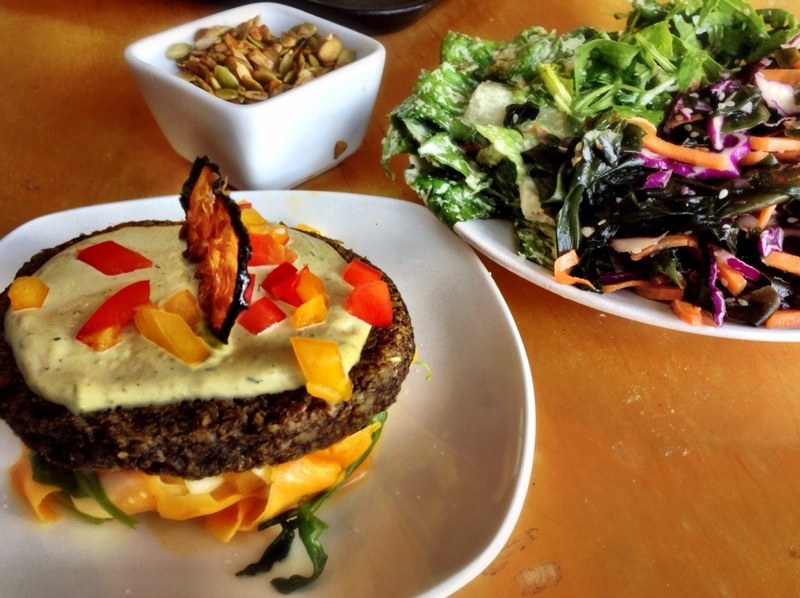 We have a raw burger on a bed of pickled butternut squash, a trio of salads and some tamari covered seeds. 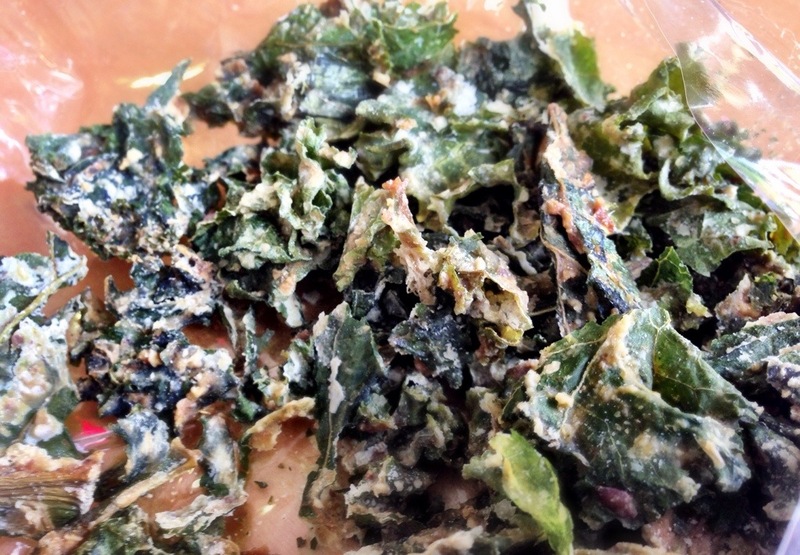 We also had some kale chips/crisps which were really yummy. These have all inspired me to try and make these sometime soon! 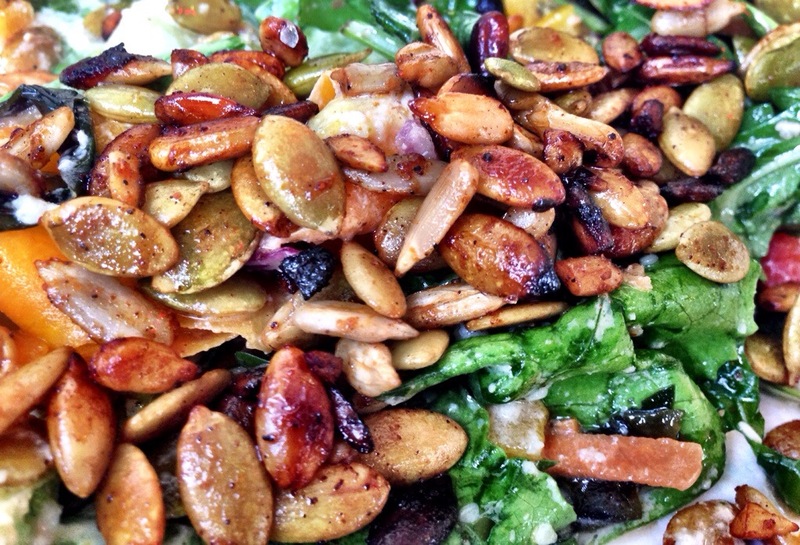 This entry was posted in Uncategorized and tagged eating out by tenuoustoaster. Bookmark the permalink.